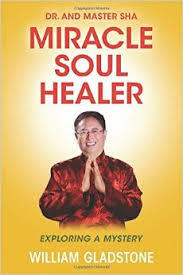 Dr. and Master Zhi Gang Sha is a world-renowned master healer, soul leader, Divine, Tao and The Source channel. Trained as a conventional medical doctor and a doctor of traditional Chinese medicine, Master Sha is also a grandmaster of many of the ancient disciplines, including tai chi, qi gong, kung fu, I Ching, and feng shui. In 2002, Master Sha was named Qigong Master of the Year at the 5th World Congress on Qigong. In 2006 he was honored with the Martin Luther King, Jr. Commemorative Commission Award in recognition of his humanitarian efforts. Master Sha is the founder of the Institute of Soul Healing and Enlightenment, and the Love Peace Harmony Movement. He is featured in the acclaimed "Soul Masters: Dr. Guo and Dr. Sha" and is the author of ten New York Times bestselling books on spirituality and healing. He has been endorsed by many public figures including author John Gray, scientist and author Dr. Masaru Emoto, author Larry Dossey, M.D., Rev. Michael Beckwith of the Agape Center in Culver City, Bishop Dr. Barbara King of Hillside International Truth Center in Atlanta, singer Roberta Flack, and philosopher Ervin Laszlo. An autobiography of his life was written in 2014 by author William Gladstone. Dr. Sha is the most important healer and teacher available in North America today. Master healers are rare. Here is one of the living masters of soul healing and its effects upon mind and body. The Tao Song that Master Sha sings is a musical gift beyond the sound of any other voice singing that you can hear every day. It holds a purity and a resonance that only he can lay claim to. His voice is beyond anything and that is what makes him the great teacher and healer. We, the human race, need more Zhi Gang Sha. Through his Soul Power book series, Dr. Sha guides the reader into a consciousness of healing not only of body, mind and spirit but also of the heart. I consider his healing path to be a universal spiritual practice, a journey into genuine transformation.